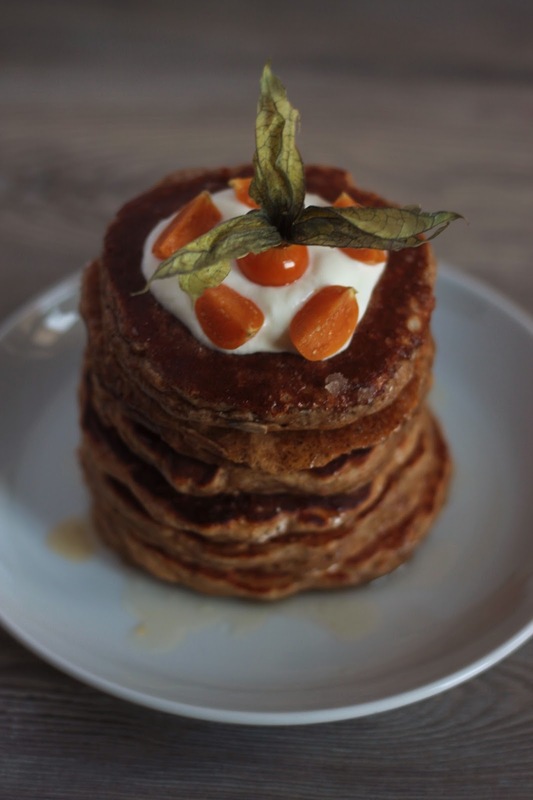 If you fancy something fresh and healthy there are always oatmeal pancakes. 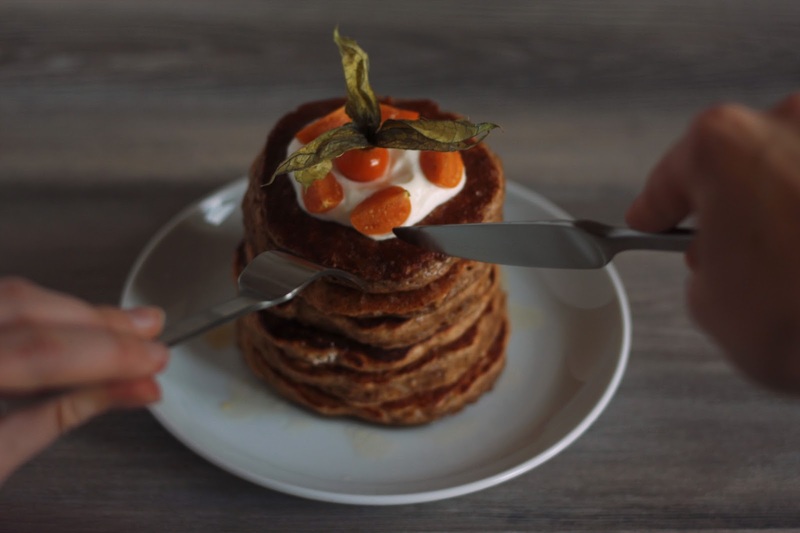 This pancake recipe is dedicated to those who are afraid of eating pancakes because they are full of calories and unhealthy ingredients. That might be the case if you pour half a bottle of maple syrup on top and do it daily. Let us tell you: it doesn't have to be that way. First of all, everything sweet should be considered a special treat, right? Nothing is special anymore if you make it a daily habit. Secondly, there are numerous ways to make a pancake more nutritious! 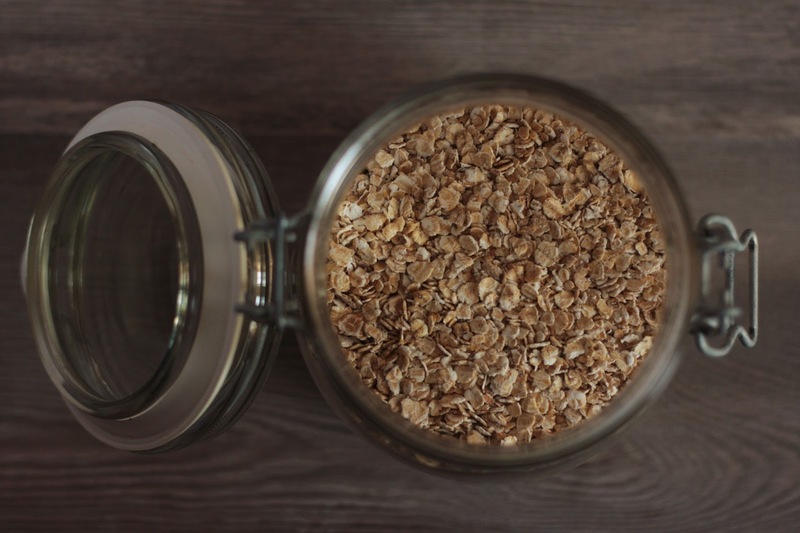 We called this one Oat-so-healthy as it is healthier than the usual flapjack. This time we switched from regular white flour to wholewheat flour. White flour is made from processed wheat grains while whole wheat flour is made from grains that didn't undergo heavy processing. Needless to say they also differ in their nutritional value. 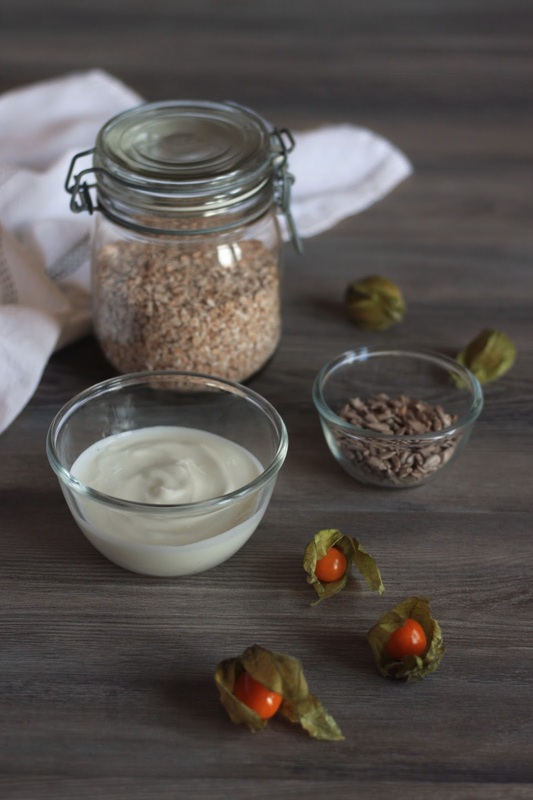 To bring the typical oatmeal flavor we also added whole oats to the recipe. Next we wanted to add something on top - fruits are the perfect fit. We went with phsysalis - those are not your average bananas or blueberries, we like to think a little bit outside the box. 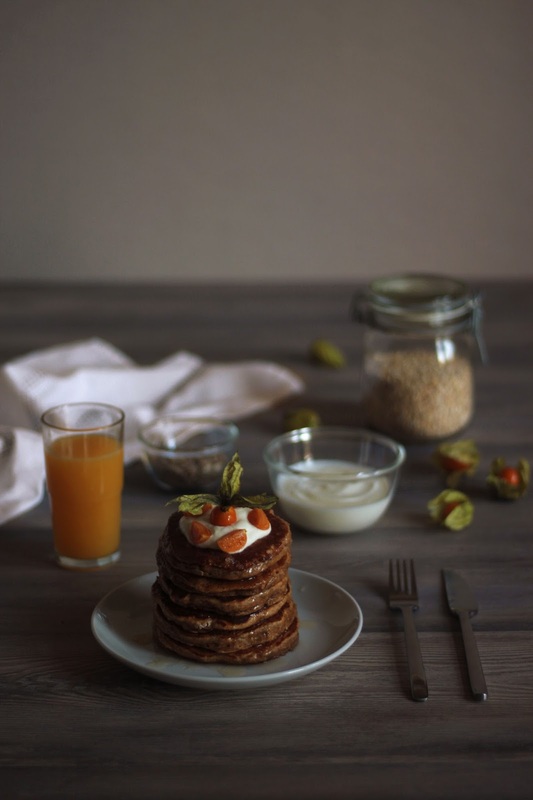 At the end we wanted to finish with a spoon of Greek yoghurt, which with a squeeze of honey makes this stack of pancakes the perfect mix of healthy, natural and sweet. These are filling your stomach without bloating and give you lots of energy to start your day like a champ! 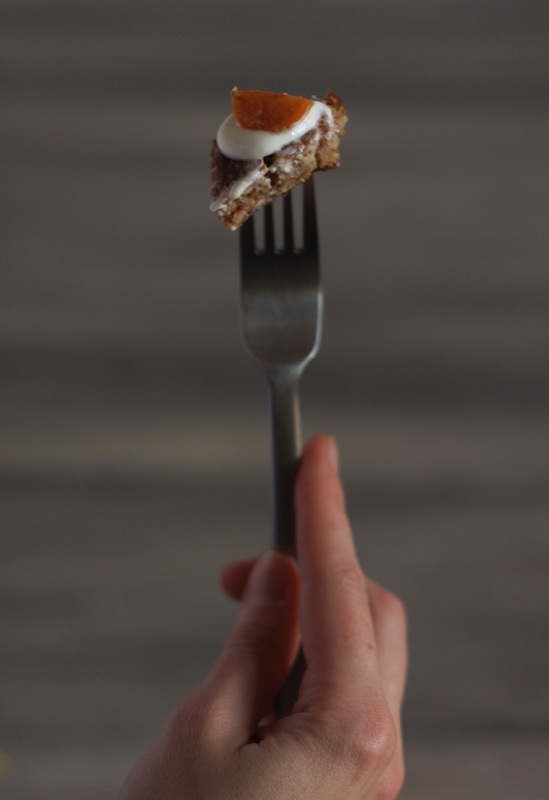 Start with separating the eggs - take the egg white and mix it with buttermilk and oats. Whisk the mixture with a beater until it becomes a light thick liquid. Set it aside, so the oats can fill up. Put the egg yolk in a separate bowl and add 50g of that melted butter (you could optionally take equal parts of oil) The butter helps to bake all the pancakes without additional oil in your well-coated pan. Throw in the 15g of sugar and a pinch of cardamon. In the third bowl you need to mix whole wheat flour, baking powder, baking soda and a pinch of salt. The oats should be soaked by now. Grab the bowl with the egg yolk and start pouring it into the egg white mixture. Good job. Take the dry ingredients and stir them into the liquid part. Do it gently. Put it in the fridge for ten minutes. Heat up the pan, don't use any oil. Pour the dough into the already hot pan and wait until it starts getting browner and thicker. Flip the pancake carefully. Repeat until all pancakes are through - they should be thick and fluffy but not crispy. 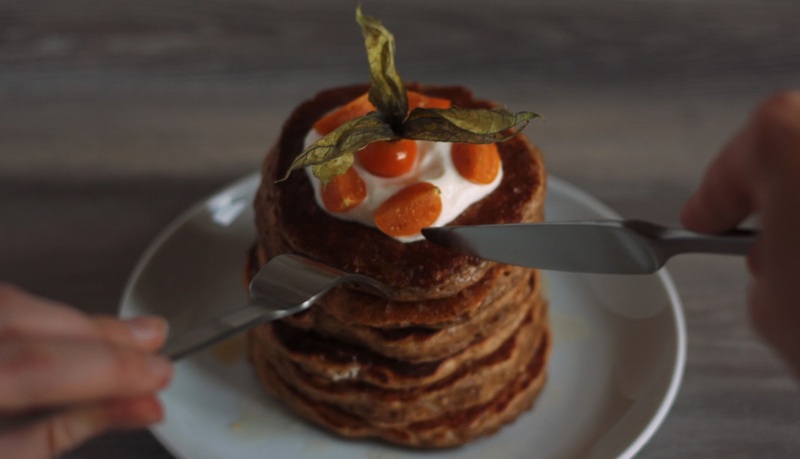 Stack the pancakes and put Greek yoghurt on top. If you want it sweeter pour a little bit of honey and put fruit on top. Sprinkle some sunflower seeds if you feel like it. Eat the pancakes and have a nice and nutritious day!